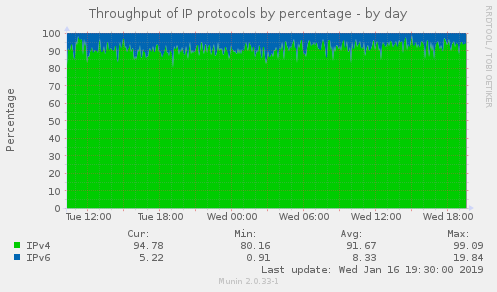 I've been running IPv6 for quite some time now. Maybe a decade or so. In the beginning I was using an IPv6 tunnel provided by SiXXs, but for some years now I have a native IPv6 /48 subnet. Russ O and Christian M. Grube like this.